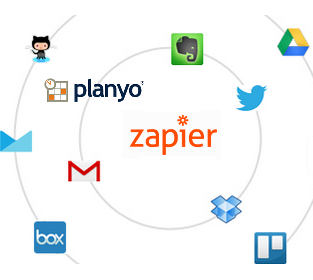 Zapier lets you connect planyo with hundreds of other cloud apps. If you want to integrate planyo with another app you use, thanks to Zapier you don't need to search for a dedicated integration, simply create a Zapier automation (zap) which will do this for you. When one of these events happens, you can then perform any action using hundreds of other apps! Here are the some suggested integrations. If you don't find the one you were looking for, simply create your own in just a few minutes! CHF 3.9/month Buy monthly subscription to the extension. The extension is hosted on our servers so no installation is required. This is the easiest way to use the extension.